Decorative tattoos have a history dating back at least 5000 years. The desire to remove tattoos has probably existed for just as long. Early attempts to remove tattoos have had less than desirable results. The use of dermabrasion, saltabrasion, surgical excision, and Argon or CO2 lasers have left behind scars in place of the tattoo. 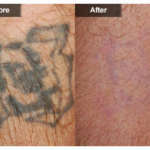 The advent of lasers has permitted the removal of most tattoo inks with a very low risk of scarring. 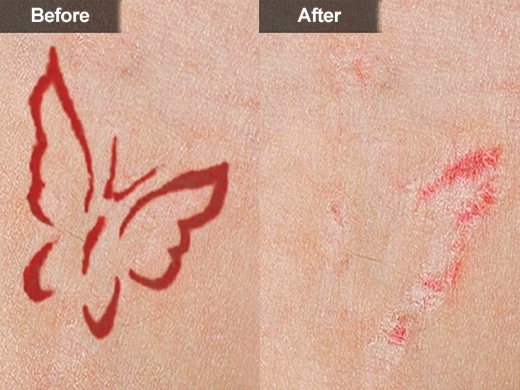 We have the state of the art and latest laser technology (Picoway and RevLite) which can significantly lighten or remove a wide variety of tattoo inks. 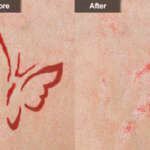 Lately, the decision to obtain a tattoo has become increasingly popular, and so has the decision to remove them. An estimated 45 million Americans have tattoos and many of then now feel that having a tattoo does not fit their new image. Those remorseful about their tattoos can come in for a consultation at our McLean, VA and Woodbridge, VA dermatology offices to determine if the removal of their tattoo is possible. 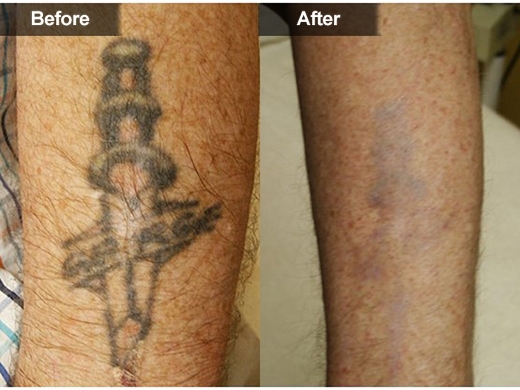 Today’s advanced laser technology provides the means for your tattoo to be removed safely, quickly and, in most cases, without leaving a scar. 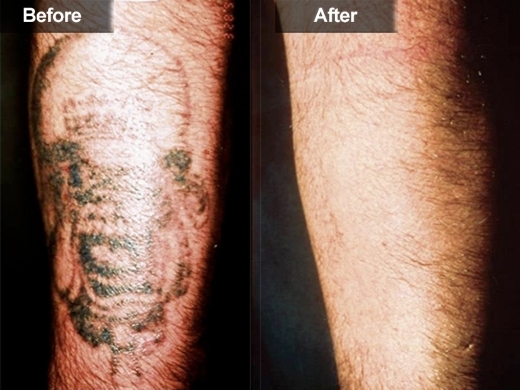 Laser tattoo removal is the safest, quickest, and most likely to leave your skin intact following treatment. 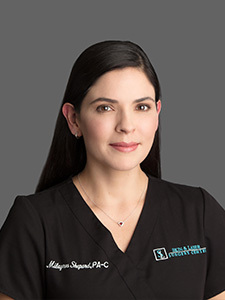 Our state of the art and latest laser technology (PicoWay and RevLite) can help to achieve that goal. 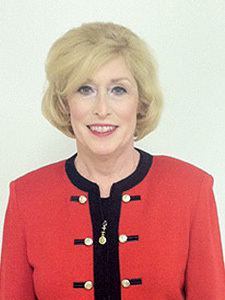 Other treatment options are surgical excision, chemical peel and traditional dermabrasion. 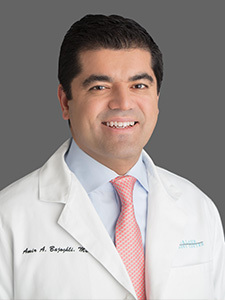 These various treatment options are invasive treatment methods and often result in scarring. 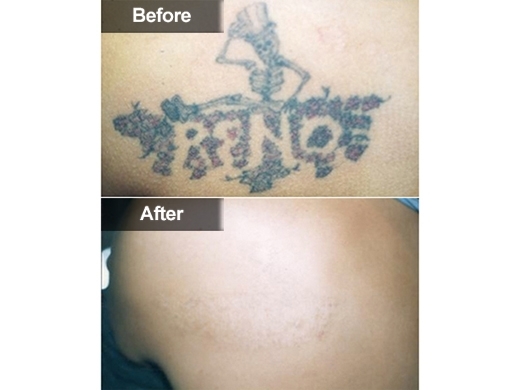 Size, color, location, age of the tattoo, depth of the tattoo ink placement, the type of tattoo parlor used (amateur vs. professional tattoo placement), and skin phenotype are among many factors that determine the number of treatments necessary to effectively complete removal. 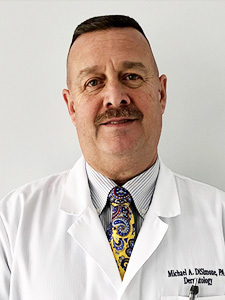 During the consultation, the tattoo you want treated will be examined and any questions you have will be answered by our staff at our McLean, VA and Woodbridge, VA dermatology offices. Be sure to contact our office if you experience side effects not described during your consultation. 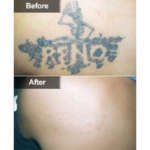 Our office also offers an accelerated tattoo removal known as R20. 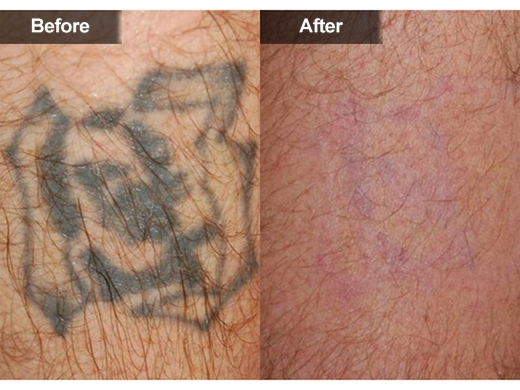 This unique treatment style uses the same laser technology but instead of one treatment pass over the tattoo, multiple laser passes are performed with the goal of delivering more energy and, hence, shattering more ink. The goal is to have a much higher ink clearance between sessions.